A powerline dangles and burns in the Lake Christine fire in Basalt, Colorado on July 4, 2018. The Lake Christine Fire burns by powerlines in Basalt on July 4, 2018. 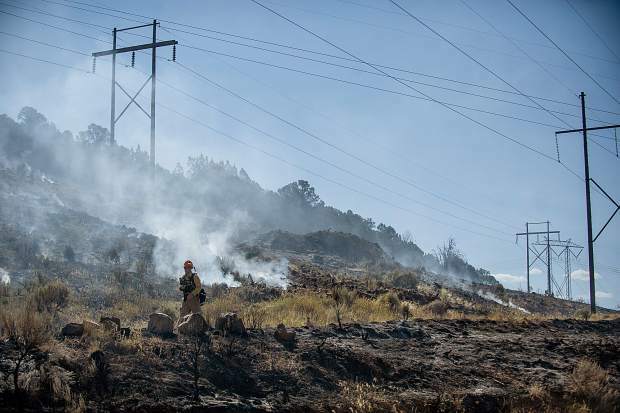 Electric company employees work on the power lines in the Lake Christine Fire area in Basalt. A helicopter flies a telephone pole into the Lake Christine Fire burn area in El Jebel on Thursday afternoon. Electric crews flew in approximately 27 poles ranging from 3,500 pounds to 6,500 pounds. A Chinook helicopter fills up with water on Wednesday afternoon while electric company employees work on the power lines in the background in Basalt. 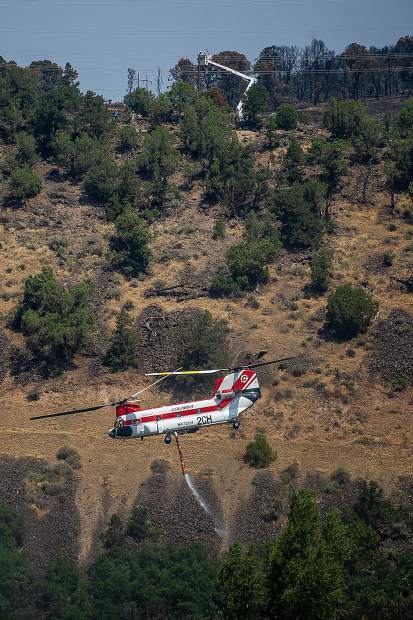 There’s an intense effort underway on the lower slopes of Basalt Mountain that isn’t as desperate as the firefighting of July 3-5 but nearly as vital. 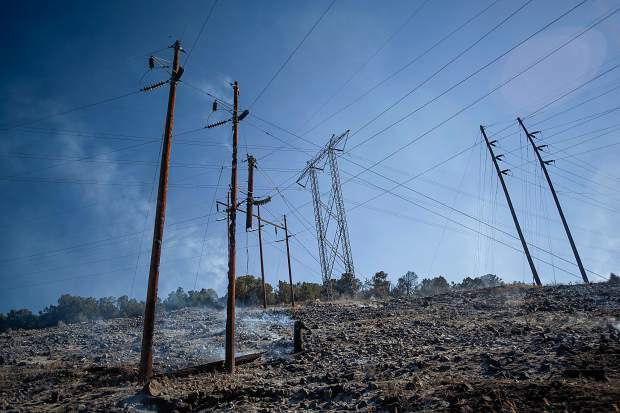 Xcel Energy has a small army of its employees and contractors working from dawn to dusk to replace power poles that were damaged and, in some cases, sheared off by the Lake Christine Fire. 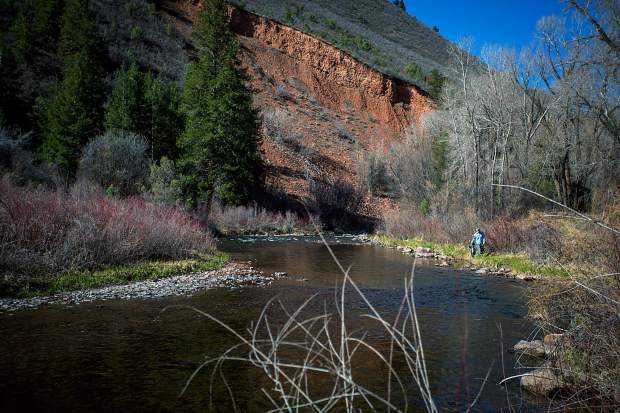 Those poles support the four transmission lines that provide the bulk of power to the Roaring Fork Valley. Holy Cross Energy transfers that electricity to its customers via smaller distribution lines. 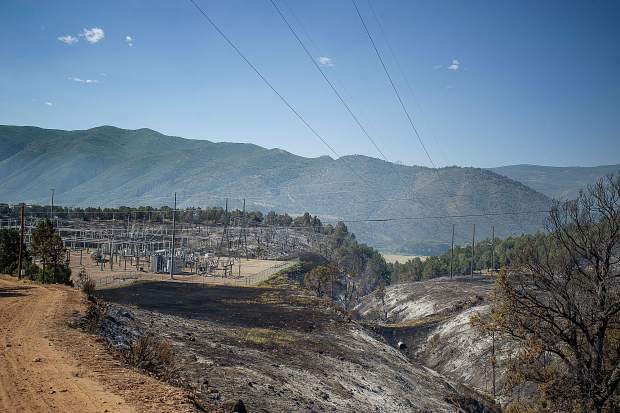 A combination of transmission and distribution lines was knocked out of commission early in the fire, placing the Roaring Fork Valley perilously close to a blackout. 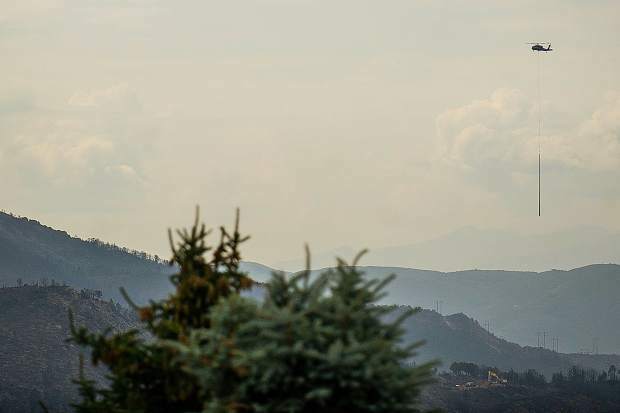 Pitkin and Eagle counties issued alerts the night of July 4 that the valley could be without power for up to 72 hours. 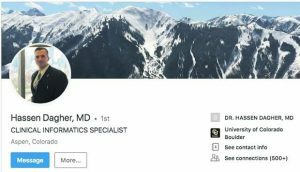 Aspen was in jeopardy of losing power in the middle of one its busiest weeks of the year. Power has never been lost, but the system remains exposed. That’s why Xcel and Holy Cross have scrambled to replace poles and get more lines back in operation. “There are 65 poles that have been damaged and have to be replaced,” said Xcel spokesman Mark Stutz. Only a “handful” had been replaced as of the end of Wednesday, he said. 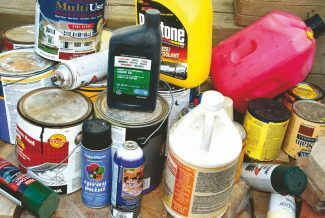 Repairs will continue into next week. 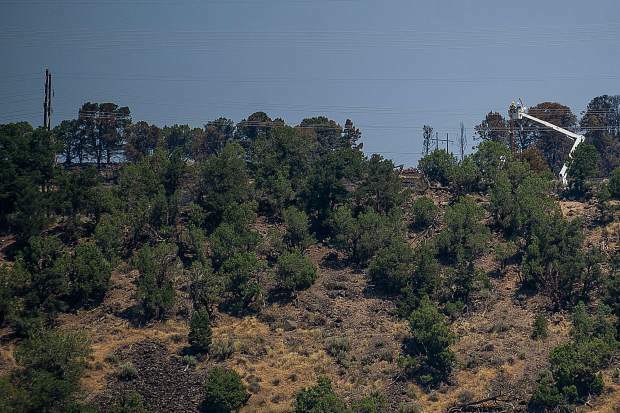 The slope above El Jebel — where the fire crested and swept toward the mobile home park the terrifying night of July 4 — has whirled with methodical activity the last three days. A lot of that activity is visible and very audible from the valley floor. Bulldozers cleared rough old roads apparently left over from the placement of the electrical transmission lines decades ago and cut some new spurs. They are white lines scratched into the charred vegetation and black ground. Next, helicopters came in and removed the poles felled by ground crews or chunks of poles that were removed. They are flying in fresh, gleaming poles stockpiled during the fire recovery near the blue lake in the subdivision of the same name. Crews with boom trucks wrestle three-story poles into place. There are 90 workers, 65 vehicles and two heavy-lift helicopters undertaking the work for Xcel, Stutz said. Holy Cross Energy has a distribution substation a short distance from Xcel’s transmission substation, but Holy Cross’ site wasn’t in the burn area. 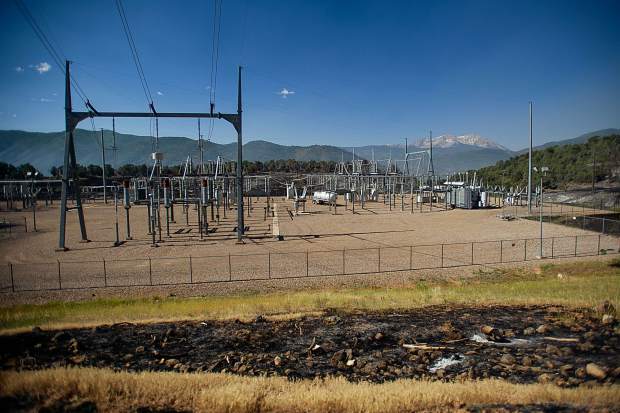 From its substation, smaller distribution lines provide power to its customers in the Roaring Fork Valley as well as Gypsum. 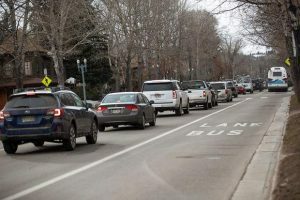 Holy Cross lost 11 poles on its distribution lines, including one in El Jebel Mobile Home Park, according to Cody O’Neil, vice president of Glenwood district operations. Some have already been replaced, he said. The poles are treated so that they don’t rot but they aren’t fire resistant, O’Neil said. The poles often crack, so wind-whipped embers can blow into the crevices and set them ablaze. 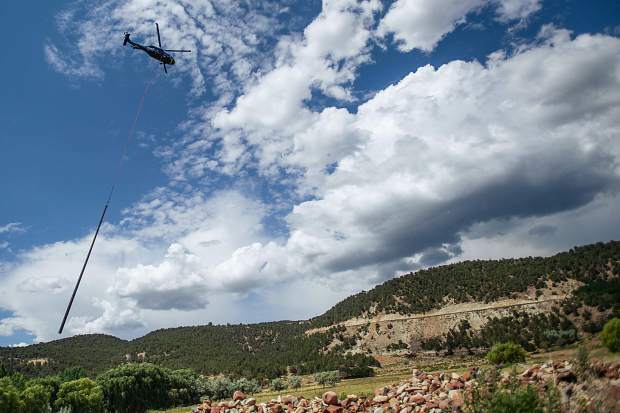 On a tour of the initial burn area on July 4, a team from The Aspen Times saw poles that had partially burned off, leaving fragments hanging in the air. Some of the transmission lines have massive metal poles. It wasn’t immediately clear if any of those poles needed to be replaced. Metal is more fire resistant but considerably more expensive to erect. No estimate was immediately available on how much it will cost the companies to replace the poles.